YWCA/YMCA Crosstown Classic raises $5,000 to support Evanston Swims! HomeYWCA/YMCA Crosstown Classic raises $5,000 to support Evanston Swims! These Flying Fish swimmers participated in the Crosstown Classic, which raised funds for Evanston Swims! 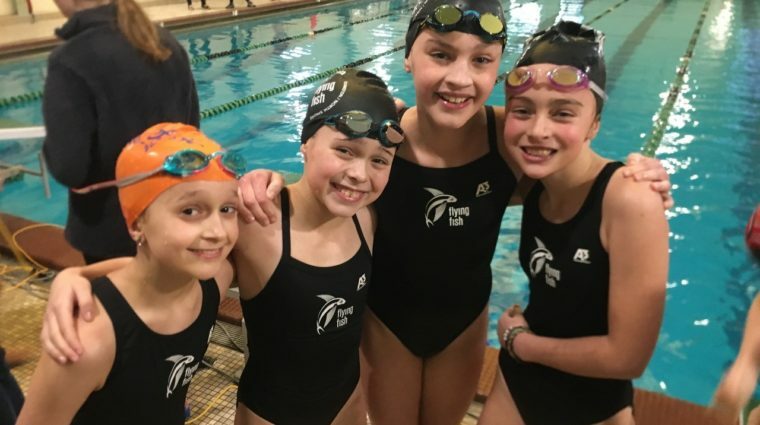 Evanston, IL – On January 18 and 20, more than 200 swimmers from McGaw YMCA’s swim team (MYST) and YWCA Evanston/North Shore’s Flying Fish competed in the fourth annual Crosstown Classic meet to raise money for the Evanston Swims! program. The event, which was held at both the YMCA and YWCA, netted approximately $5,000. Evanston Swims! is a partnership between McGaw YMCA, YWCA Evanston/North Shore, Evanston/Skokie School District 65, and collaborators throughout the community, including Goldfish Swim School and the U.S. Coast Guard Auxiliary. Through the Evanston Swims! program, Evanston second graders receive access to swim instruction at no cost to their families.